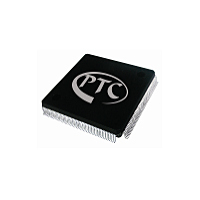 Auto Focus Motor Driver IC (PT5662) - Princeton Technology Corp.
reference and operates from a single 2.3V to 5.5V supply. The DAC is controlled via a 2-wire (I2C compatible) serial interface that operates at clock rates up to 400KHz. The PT5662’s unique and proprietary Slope Control Modes allow the user to customize the output transient response thereby overcoming mechanical ringing associated with reduced form factor voice coil motors (VCMs). 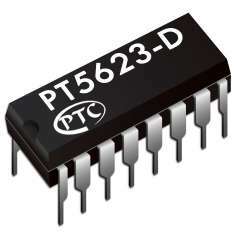 The PT5662 incorporates a power-on reset circuit, which ensures that DAC output powers up to 0V and remains there until a valid write takes place. It has a power-down feature that reduces the current consumption of the device to 1μA maximum. 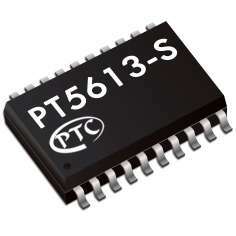 The PT5662 is designed for autofocus, image stabilization, and optical zoom applications in camera phones, digital still cameras, and camcorders. 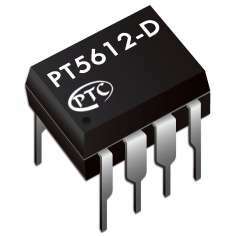 The PT5662 also has many industrial applications, such as controlling temperature, light, and movement, over the range -40℃ to +85℃ without derating. The I2C address for the PT5662 is 0x18h.